Jim Hoecker was a Commissioner, then Chairman, of the Federal Energy Regulatory Commission. He now practices energy law in Washington D.C. with Husch Blackwell LLP. The last and only time that FERC added four commissioners at approximately the same time was 1993. That was when my colleagues Bailey, Massey, and Santa and I were confirmed to join Chair Moler at the Commission. The arrival of that "Dream Team" - thank you, Senator Johnston! - presaged a decade of sweeping changes in federal electricity policy. Following Congress' modest suggestions in the Energy Policy Act of 1992, our pro-market pro-transmission reforms were a foregone conclusion (difficult as they were). We sought to replicate the open access and market innovations of Order No. 636 for interstate gas pipelines, build on growing ideas about regional power markets and the old power pools, and recognize the competition legacy of PURPA. Order Nos. 888, 2000 and (later) 890 and the interconnection rules remain keystones. But today, unlike 1993, there is no fresh policy guidance from Congress or an Order No. 636 to use as a benchmark. So, readers may legitimately ask, what may we expect from the four fresh faces due to take their places at FERC, probably before year's end? Readers of Public Utilities Fortnightly can rest assured that our new federal regulators will be fully employed. The Commission's rates, projects, and policy making outboxes are plenty full. Acting Chairman LaFleur has used the hiatus in agency business to fill the record with comments and analyses on several important electricity and natural gas issues. And, of course, there's always the backlog. New Commissioners might well ask: what now? This is ground on which a "former" anything, much less a former FERC Chairman, should fear to tread. But, here are some pointed suggestions anyway. I would argue that attending to the state of the nation's electric transmission infrastructure must be a top priority for two obvious reasons. The President and Congress are clearly looking for action on critical infrastructure, and there's none more critical and important to building a dynamic economy over the next quarter century than the grid. Moreover, a succession of Commissions has driven a pro-transmission agenda for two decades now, but not nearly to completion. While it is worthwhile debating what has and has not been achieved, this is a time to look forward. A little context would be valuable. Then let me telescope this discussion. Major parts of the 2005 Energy Policy Act were a recognition by Congress that domestic electric infrastructure was woefully inadequate to support the competitive markets the Commission had launched in the 1990s. Competition created stress, reliability was threatened and transmission line relief events (that is, dropping load to keep the system up) had skyrocketed. Since 1980, transmission investment had declined precipitously as returns became anemic and capital migrated elsewhere. As a result, substantial parts of the grid were becoming positively geriatric. Today, we still lean on lines, towers, and substations dating from the forties, fifties and sixties. I am proud that the Dream Team voted consistently for dramatic regulatory innovations. But neither the structural changes occurring in the industry nor the implications of a more highly integrated, digitized grid infrastructure were fully appreciated or even foreseeable. Even by 2005, competitively-priced renewable resources had not yet exerted meaningful pressure on transmission or other public policies. Therefore, in retrospect, Congress' efforts to promote backstop siting, authorize FERC to incentivize transmission, and encourage interstate compacts and coordination of federal permitting of transmission facilities were destined to be stillborn, despite considerable "sturm und drang" and bureaucratic effort. FERC's struggle to reconcile transmission incentive rates with the just and reasonable standard tended to diminish FERC's interest in Congress' directive and thus the effectiveness of those incentives. Not surprisingly, the robust investment in transmission projects over the past decade, largely comprised of incremental additions and upgrades justified by reliability concerns, has now begun to flag. All that would be forgivable, were it not for the projected increase in the electrification of our economy over the next two decades, the profound changes coming to the generation mix, and the onslaught of new technologies. And hence the need for major investment in an expanded, integrated, highly flexible transmission superhighway. That's where this policy debate is headed. But it's not clear who will pick up the baton. For now, with infrastructure back on the national agenda and FERC's pro-transmission legacy at stake, there are two main courses on FERC's plate. First, by sending Opinion No. 531 back to the Commission for a re-justification, the D.C. Circuit Court of Appeals has presented FERC with a golden opportunity. It can take the long view of the need for stable and adequate transmission equity returns - returns that are predictable, not so subject to the repetitive attacks, and far less volatile than those we have witnessed in the past five years. Base returns on equity have eroded significantly under the recent applications of FERC's discounted cash flow methodology. This despite the decision in Opinion No. 531 to set base returns on equity between the midpoint and upper end of the zone of reasonableness. Such outcomes are justifiable only if transmission is treated as a cost to be avoided, rather than as risky thirty- to forty-year investments in infrastructure assets that integrate bulk power markets, make competition possible, and create a range of benefits to customers and regions which are today undervalued or, worse, ignored. Uncertainty dogs investment and increases costs, serving consumers poorly. It is sown by serial return on equity complaints. It is magnified by methodological switches like FERC's change to the two-step growth rates at a time when interest and bond rates were at historical lows, depressing the resulting returns. Doubt about the validity of IBES as the sole source of data for short-term growth rates persist, due to its lack of standardization. In addition, FERC's historical selection of proxy groups to establish the zone of reasonableness is looking less defensible in light of the tendency of merger and acquisition activity to prejudice rates on the low side by eliminating the most attractive companies from the pool of comparables. Since the two-stage DCF produces results (besides litigation) that are inherently volatile, and often unrepresentative of either capital costs or market conditions, a thorough reassessment is in order. A different set of capital attraction challenges can affect merchant developers of transmission but regulatory certainty is always needed to mitigate risk there as well. The second infrastructure priority is wrapped up in Order No. 1000. Its deferential approach, and its failure to take seriously the need for interregional transmission has slowed or halted movement toward a more integrated grid. Six years after its adoption, Order No. 1000 has done little or nothing to advance interregional coordination, including cost allocation. Should we counsel patience and resignation because interregional and regional coordination and planning are still in their infancy? My client, the trade group WIRES, sees a more urgent need to strengthen the grid interregionally for public policy, economic, and reliability purposes. It views Order No. 1000's underachievement as primarily a sin of omission. The continuing patchwork of different planning models, assumptions, scenarios, eligibility criteria, and thresholds for joint evaluation of candidate projects is surely evidence that FERC has some distance to travel before achieving even what I perceive to be its own goals. This and a score of other issues discussed in last year's technical conference, raise the question whether Order No. 1000 should be re-opened and its processes strengthened. In my view, Order No. 1000 was a woefully inadequate attempt to address interregional planning. However, we can certainly learn from its unusual trajectory. Now it's best to stick a fork in it. It's done. Let's move on to fix what's wrong, supply what's missing, and set as a goal a genuinely integrated grid that will stand up to the demands that dynamic future developments will place on it. Of course, there's precious little that FERC can do to ameliorate the principal dysfunction affecting transmission, which arises from the historical but now-impractical allocation of regulatory authority among federal, state, and other governments. The planning, permitting, and building of grid infrastructure will continue to take three times longer than the equivalent process for natural gas pipelines. 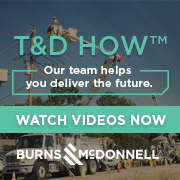 Getting to the heart of the problem for which transmission infrastructure is the poster child, President Trump’s chief economic advisor Gary Cohn recently opined, "Time is money. The cost of infrastructure goes up dramatically as time goes on in the approval process." Well said.